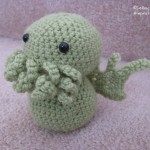 Oh the great Cthulhu has risen yet again in fiber-y goodness. 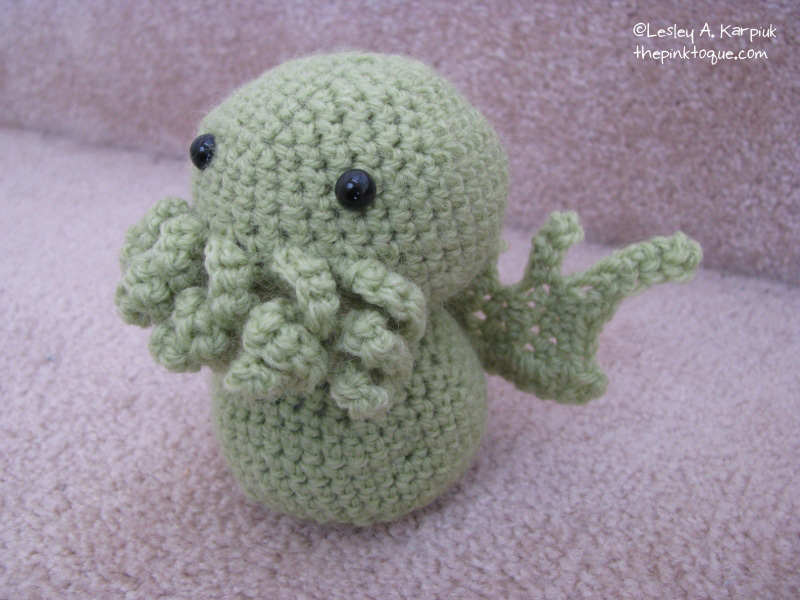 This time he is a tiny cute plush, crocheted from the free pattern by Amber of the Cthulhu Crochet and Cousins blog. I can’t seem to get enough Cthulhu, can I?